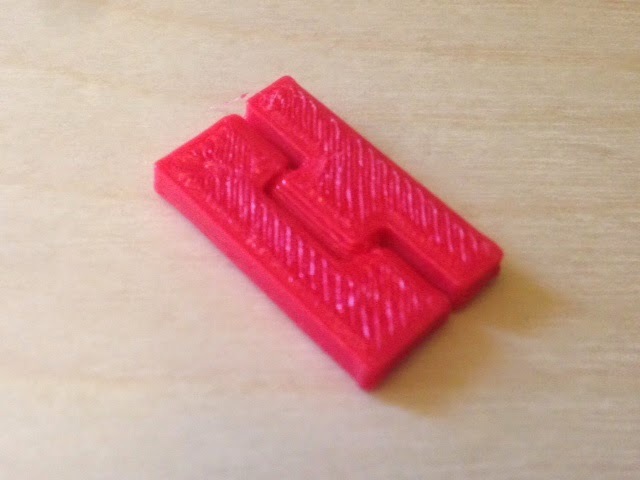 Settings: Optimized for a MakerBot Replicator 2 with default .3mm/low settings, with raft but (and this is key) no supports. For different printers, to change scale, or for tighter/looser hinges, try changing the clearances in the Customizer at the Thingiverse link. Technical notes, OpenSCAD flavor: This is a conical hinge, so never needs support material. The picture below shows a cross-section about halfway through.